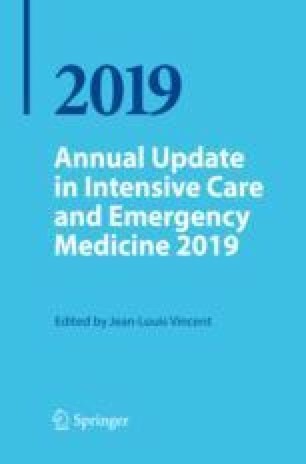 Lactic acidosis is a common finding in critically ill patients, including patients with septic shock, cardiogenic or hypovolemic shock, trauma and liver failure [1–3]. In these conditions, hyperlactatemia occurs when production of lactic acid significantly exceeds lactate consumption. Lactate levels have been associated with patient outcomes in a large number of studies, either at patient admission or presentation or during the course of recovery [3–5]. In a study including more than 10,000 patients with septic shock, peak lactate concentration was associated with a near linear increase in patient mortality . Outcome prediction was confirmed not only for absolute lactate values, but change in serum lactate levels was also independently associated with mortality . Hernandez G, Bellomo R, Bakker J. The ten pitfalls of lactate clearance in sepsis. Intensive Care Med. 2018. May 12. https://doi.org/10.1007/s00134-018-5213-x. [Epub ahead of print].